All operations of the Soul Food Cafe Mission are conducted every Tuesday at 1717 S. DONAGHEY AVE. Reaching out to the hurting with love, compassion, and hope. You can keep up with the amazing work Jesus is doing at the mission on Facebook, just click here. We were honored to receive the Community Service Award from Senator Jason Rapert! To present the Gospel of Jesus Christ in a creative way to those who will hear, but is not forced on anyone in order to receive any help from the Mission. 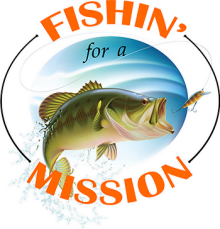 To provide an opportunity for churches and people of faith in Jesus Christ from our community to help in distributing, feeding, clothing or ministering to those coming to the Mission for assistance. To maintain the Mission grounds as denominationally neutral, so that all people of faith in Jesus Christ can work together for the Kingdom of God. ​Sometime during October of 1994, Rick and Traci Harvey moved back into the Conway area, settling in Greenbrier. Rick had been in full-time Christian ministry, but the change in location included a change in vocation, and Rick began working in the insurance industry. The Harvey’s sought a church where they could minister and be ministered to. They soon became members of Christ Church which at that time was on Bronnie Lane. Through a series of unexpected changes, Rick was eventually asked if he would step into the pastoral role at Christ Church, at least in a part-time capacity. He became the pastor and ministered in that role for about six months. Under his leadership, the six or so families that attended began the study, Experiencing God, written by Henry Blackaby. The group’s application of his seven realities would change their lives forever. The families earnestly sought to “go where God is moving” as Blackaby taught. After prayerful consideration of what that meant to the group, and seeking the will of God, the members decided to disband as a traditional church and start an effort to reach out to those in need in the Conway area. Their first opportunity was a Wednesday evening, 7 pm, free-meal ministry which began on July 11, 2001 in Brother T’s restaurant. Main Street Mission in Russellville donated food for the meals. The volunteers prepared the meals at the church on Bronnie Lane and took it to Brother T’s. Before everyone could go home, both locations had to be cleaned, and October, they decided to begin serving the meals at Christ Church. In the meantime, the mission’s dinner guests had begun inquiring about the possibility of food they could take home. The Main Street Mission donated those as well, in increasing numbers each week, and when the evening meal moved to Christ Church, the food box ministry had been born. When a high rise retirement facility burned in Conway, Soul Food Café Mission was asked to be the recipient of the community’s donations. This was when the mission expanded into furniture, small appliances, and clothing. However, the Christ Church facility and everything in it was destroyed by fire in July of 2006. Yet, the mission was unfazed, and concentrated their efforts on “regrouping, rebuilding and keeping up their extremely good work,” as reported by the Log Cabin Democrat. The Four Winds Church on Dave Ward Drive then offered the use of their gymnasium for the mission’s storage and food box operation. In July of 2011, the mission celebrated their 10 year anniversary in that facility. It is estimated that during those ten years, the mission fed over 140,000 people, a number representing some citizens who repeatedly visit the site, and are dependent weekly upon the sustenance offered. In August of 2011, this facility was also destroyed by fire. Three local churches immediately reached out to assist with a new location and the mission has been operating at Second Baptist Church in downtown Conway ever since. Several years ago, as a result of multiple generous donations, the mission was able to build a structure on South Donaghey Avenue in Conway. That location has served primarily as a place for storage but will be the eventual central location for continued food box distribution, offering meals, health & beauty items and clothes, A Bible study room, a washeteria, and a furniture and small appliance showroom. Funds for this operation are desperately needed to reach the goal of locating all of the mission’s operations to the facility. Please click here to learn more about supporting the effort and joining God’s work in the Soul Food Café Mission.